Bring a large pot of water to a boil and add 2 tablespoons of salt and a splash of oil to the pot. Meanwhile, heat the 1/2 cup of olive oil in a large (12-inch) saute pan. Add the garlic to the oil and cook over medium heat for 30 seconds. Add the tomatoes, basil, parsley, thyme, 2 teaspoons salt, the pepper, and red pepper flakes. Reduce the heat to medium-low and cook for 5 to 7 minutes, tossing occasionally, until the tomatoes begin to soften but don’t break up. Place the pasta in a large serving bowl, add the tomatoes and Parmesan and toss well. Add some of the pasta water if the pasta seems too dry. Serve large bowls of pasta with extra basil sprinkled on top and a big bowl of extra Parmesan on the side. 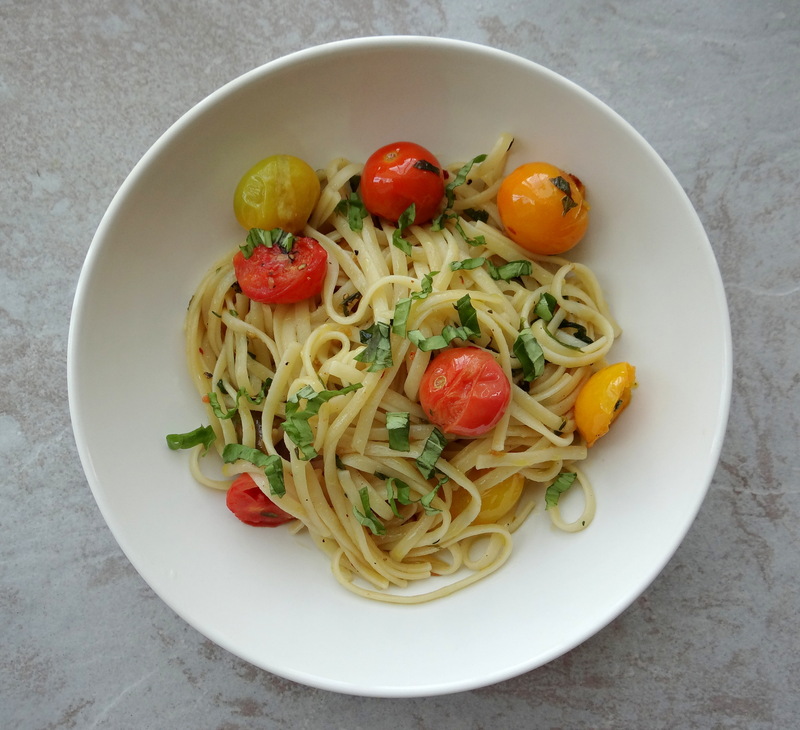 I love the tomatoes and basil! Very nice!